"a massive home match against their neighbours, who they haven’t lost to in seven meetings dating back to April 2015, offers Hull FC a great chance to restore some pride"
St Helens can make it a fantastic fourteen wins in a row as they host Warrington in the final round of the regular Super League season on Thursday. Justin Holbrook's side have dropped just four points all year and became the first side to beat Wigan at the DW Stadium in 2018 with a hard-fought 14-6 victory last week despite the absence of Super League's top two tryscorers Ben Barba and Mark Percival. Both could be back for this game having been named in the squad. Warrington got back to winning ways with a battling 34-20 victory at in-form Hull KR and can go second if coming out on top again. They'll be at near full-strength, with Bryson Goodwin, Ben Murdoch-Masila and Ben Westwood all named in Steve Price's squad having been missing last week. Their record against St Helens isn't great. Amazingly they've beaten their Merseyside rivals just 13 times in the twenty-three year history of Super League, the latest defeat a 30-12 reversal at home in March. Both teams will have one eye on their Challenge Cup Semi-Final matches next weekend and the team-sheets could make for interesting reading. Don't expect Saints to take their foot off the gas though, and they can reward handicap backers. The regular season has ended in disappointing fashion for both Hull clubs but it's the Black and Whites who can gain bragging rights in Friday night's derby. 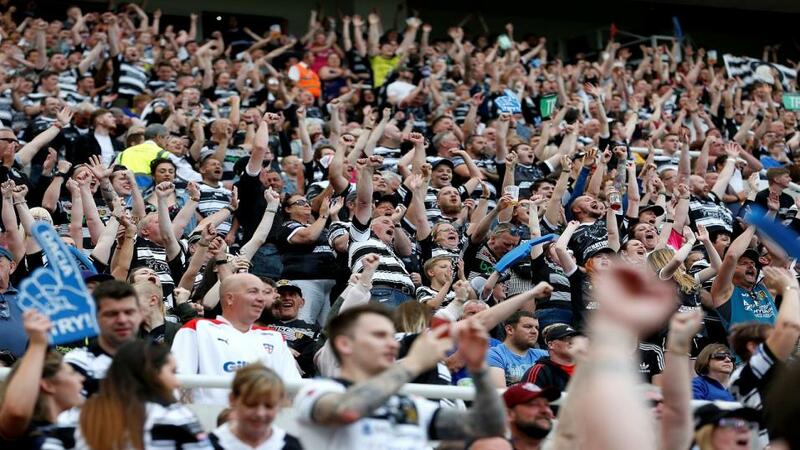 Lee Radford's side have suffered an alarming slump in form and have won just two games, against the bottom sides Widnes and Salford, since beating their city rivals 34-22 at the Magic Weekend on May 20th. They sunk to a new low with a 72-10 battering at Wakefield on Sunday but a massive home match against their neighbours, who they haven't lost to in seven meetings dating back to April 2015, offers them a great chance to restore some pride after last week's humiliation. Key players Jamie Shaul and Marc Sneyd should be much more up to speed after their returns there while Josh Griffin and Sika Manu are back in the squad. Hull KR left it too late to escape the Qualifiers, their first defeat in five games against Warrington enough to condemn them to the bottom four. They should have enough quality to ensure they avoid another Million Pound Game and the addition of Todd Carney will be fascinating. The talented half-back is having a third spell in Super League in what has been a career blighted by controversy. 18-year-old winger Elliot Wallis impressed against Warrington with two tries and is worth backing at 13/5 to strike again in the hope he starts once more. A bet on Rovers on the early handicap would have been tempting were it not for the suspensions dished out to Danny McGuire, James Greenwood and Mose Masoe earlier this week. Together they are massive losses, and as such, take the significantly-stronger-looking home team to bounce back with a convincing win.